We have now looked at the first two parts of the POC which you must include to have a successful and accepted POC by the state of Texas. First you had to determine who will fix the problem and how it is going to be addressed for the individual or individuals affected by the deficient practice. The second part of this series discussed how you are going to ensure the deficient practice has not affected anyone else and who will accomplish that review or process. At this point your plan identifies the problem, identifies who was affected, identifies how you plan to fix it, and identifies how you plan to review and ensure that anyone else affected by the deficient issues does not continue to be affected. Finally, it is time for the third step in the process of preparing a successful POC. This final step includes the monitoring of the issue and/or how you will ensure that the deficient practice does not occur again. Usually at this time you find someone to oversee the person fixing the problem. In most cases, you may have a QIDP, a manager, or a nurse correcting the issue. For our sake, here we will assume the QIDP has addressed the deficient practice. Who will oversee the QIDP and ensure that the problem does not occur again? For many facilities the answer is usually an Executive Director, Administrator, Owner, or some other form of supervisor. This person must review the correction made, and then set up a monitoring to ensure that it does not occur again. In the first section, we stated that “The QIDP will conduct an interim staffing for individual #1 to review the physician's recommendation for..... .an optional surgery and determine the client and his guardian's decision. ..a specialist to see the client. The QIDP will ensure the follow up appointment is scheduled and coordinated with the IDT. In the second section, we stated that “The QIDP will review physician recommendations for individuals #2-6 (assuming it is a six bed facility) and ensure that no physician recommendations have been overlooked. In the event that recommendations have been overlooked, the QIDP will refer the recommendation to the IDTeam for review and direction per the guardian, surrogate, or individual as appropriate. The QIDP will review Physician recommendations for individuals #1-6 on a monthly basis to ensure no recommendations are overlooked. Issues or concerns will be presented to the IDTeam. The Administrator will review physician recommendations on a quarterly basis and notify the QIDP in writing should a recommendation be found that has been overlooked and take corrective action as determined appropriate. 1. Identified the individual or individuals affected by the deficient practices, who will correct that issue, and how that person will correct it. 2. Identified how the person correcting the issue will ensure that no other individuals have been affected by the deficient practices. 3. Identified how the facility will continue to monitor and ensure that the deficient practice does not occur again. At this point you will put a corrective date – meaning the date you plan to have the POC accomplished by and all components in place, sign the document and submit it for review by the Regional Program Manager. You should be prepared for the possibility that the Program Manager may seek additional information. There is always the chance you may have overlooked a component of the deficient that needs to be addressed. There is always the chance that you may understand perfectly what you plan is, but that it may not be written in a way that someone else can understand it. If additional information is requested, talk with the reviewer, determine what is needed and provide the update. Some regions will accept an update letter and others may require that you modify your actual POC with the new information and send it in to them. However, it is requested, simply make the corrections and send it in for final review. 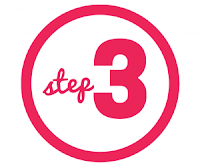 However, in most cases if you review the three major areas noted above, and you have met the criteria of each, you will most likely not have to submit additional information.